The rock layers of Chapel Rock are sculpted into lovely shapes creating a wonderful window onto Lake Superior. Although it isn’t the common iconic view of this well known landmark, I found this view to be truly enchanting. 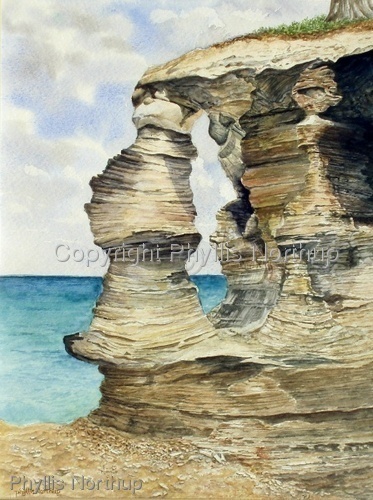 Limited Edition Giclee Prints from original watercolor, Pictured Rocks National Lakeshore . The original is sold.